You've just taken the first step toward becoming a new pilot! Flying will open up new worlds and new possibilities. How about flying to the beach for the day? Or flying your friends to a near-by town for lunch? Or visiting family without spending hours or days in a car? You may even decide on a career as an airline or corporate pilot. You can do it! Your first flight at Certified Flyers will be approximately one hour. Our instructors will allow you to take the controls and tour the area. The introductory flight is your first step in becoming a pilot. Take the controls and fly! Take to the air for a 1-hour introductory flight with you at the controls! 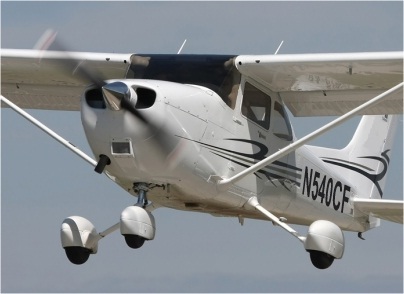 Learn the four fundamentals of flying: straight and level, turns, climbs and descents. Follow the instructor on the controls as he maneuvers the airplane for landing. You'll see what it's really like to be a pilot! Not sure how exciting/exhilarating was the first flight for the Wright brothers, I had a great time sitting at the pilot seat for the first time and able to fly. It was a dream come true. My instructor, Chris, was a great guy and gave me enough time to settle down and experience the flight. Provided insight into how pilot's go about their routine. Explained each of his actions before and helped me understand the plane better.